Like it or not, Ridley Scott is still planning on making that Alien: Covenant sequel, which has sometime been called Alien: Awakening in the press. Prior to the movie's release this summer, Alien: Covenant was easily one of the most highly-anticipated sequels making its way to theaters this year. However, the movie wound up being quite divisive and, as a result, suffered in a big way at the box office. That put the future of the franchise in doubt, but Scott insists that the sequel is still happening. The 80-year-old director has been very busy re-filming all of Kevin Spacey's scenes with Christopher Plummer in All The Money in the World, which is, somehow, still expected to arrive in theaters later this month. Still, Ridley Scott found some time to provide an update on the Alien franchise, which will continue. It's just headed in a different direction. Here's what he had to say about it. "We are [going to make another], we are. I think what we have to do is gradually drift away from the alien stuff. People say, 'You need more alien, you need more face pulling, need more chest bursting,' so I put a lot of that in Covenant and it fitted nicely. But I think if you go again you need to start finding another solution that's more interesting." Indeed, no matter what critics of Alien: Covenant may say, Ridley Scott definitely injected a lot of what fans love about the Alien franchise into the prequel. Prometheus suffered largely from lacking some of that classic imagery, among other things. 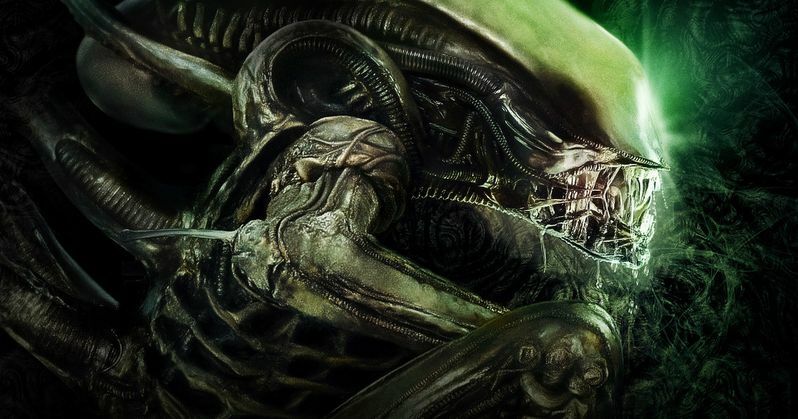 Regardless, the next installment of the Alien franchise, which is possibly going to be titled Alien: Awakening, will be moving away from the mythology of the Xenomorph. As Scott reiterated in this interview, he's going to focus more on artificial intelligence moving forward. "I think AI is becoming much more dangerous and therefore more interesting." Alien: Covenant only made $240 million worldwide, working from a budget of $97 million. That's a little more than half of what Prometheus made. Considering how many people don't like Prometheus, that's pretty amazing. What's worse is that Alien: Covenant, which leaned heavily on the Xenomorph angle in the marketing, has a not-so-great 68 percent approval rating on Rotten Tomatoes from critics. Perhaps more concerning for Fox is the even lower 56 percent audience rating. Certainly not what they were hoping for when they bumped up the release date by nearly three months late last year. As those who have seen Alien: Covenant will recall, Michael Fassbender's David made away with some Xenomorph embryos and was making his way to a new planet with the colonizers and remaining Covenant crew from Earth. There's certainly room to play with what Ridley Scott suggests. But can he really expect people to turn up for an Alien movie with less aliens in it, as he suggests in this interview with Entertainment Weekly? That seems to be the plan.